As you know my palette this year has been all about pastel blue, this feminine lace Carla Zampatti dress stole my heart the minute I laid eyes on it. 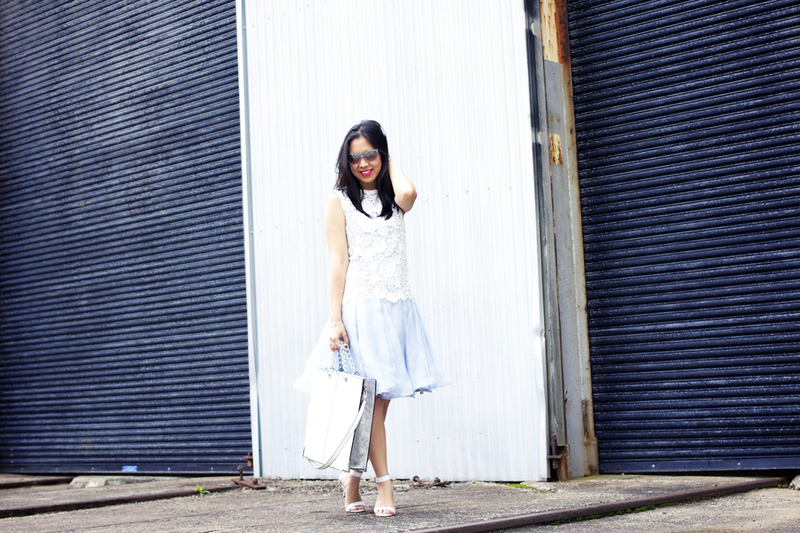 I love that it can pass as either a dress or top/skirt combo as well, add these amazingly matching powder blue Burberry sunglasses plus a little modern touch with this ASOS bag and I was fashion week ready. A big thank you to Carla Zampatti for dressing me and making me feel like a beautiful princess or pretty ballerina for the day...a true modern day Cinderella fairytale come true!